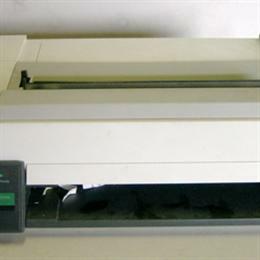 Paul Kostrzewa's Vintage Dot Matrix Printers Collection - Collected It! 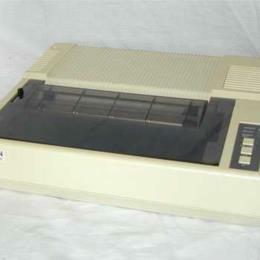 Apple Imagewriter I... huge, heavy, ugly. Came with my Mac SE/30 but I've never actually turned it on. 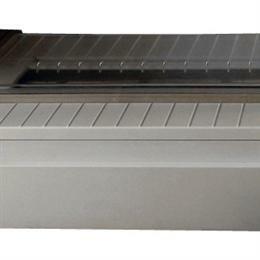 IBM ProPrinter I. Goes with my PC Jr. but I have no idea if it works... probably does though, they were built like tanks. 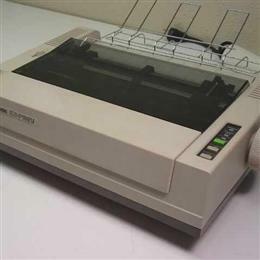 My very first printer. My Dad bought this for me back in 1984 for my first PC (an 8088) with black, blue, red, and brown ribbons. The clear cover is glued back together but the rest of it is in pretty good shape. In original box. Old, old, old printers from back in the day where you used ribbons and they sounded like tiny chainsaws buzzing away on your desk.